Veteran filmmaker MS Sathyu feels that filmmakers today lack interest in showing historical events through cinema as they are more focused on serving violent movies to the audience. 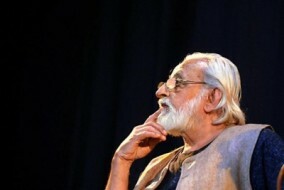 The 82-year-old filmmaker, known for his Partition classic “Garm Hava”, feels that the human touch from the movies is missing now. “A lot of films are made today where violence has become important. You find examples ranging from ‘Agneepath’ to ‘Gangs Of Wasseypur’. Many a time, the violence on screen is meaningless and glorified. The human touch goes missing. Youngsters need to see that a very different kind of cinema can exist too,” he said on the sideline of the 43rd International Film Festival of India (IFFI). Sathyu, who is all geared up for the theatrical release of a new restored version of ‘Garm Hava’ next year, said the young audience needs to know about the country’s history. “You may wonder why a film made in 1973 should be restored today. Perhaps after the partition of the country, there is a lack of interest in filmmakers to use any of the historical events that take place and bring it to focus in cinema. We are not even aware of the recent happenings and do not even use them in our cinema. But ‘Garam Hava’ became a cult and gave inspiration to other people who also made films on the partition,” he said. Sathyu said that his film ‘Garm Hava’, considered one of the most authentic films on Partition, has been restored with work done on 2.5 lakh frames, while the mono sound has been converted to Dolby Digital 5.1 stereo surround sound in the US. The film is slated to release on January 18, 2013. A special screening of the classic was greeted with standing ovation at the festival. “We shot with one camera, one lens and just six lights. My wife did the costumes and we shot entirely in Agra. The town is so noisy that we had to dub the whole film in RK Studio on returning to Mumbai. But now the movie is a whole new one with advanced technology,” he said.